You don't have to buy an Hermès-branded Apple Watch to get those high-end straps anymore. The Apple Watch Hermès collection is gorgeous, but that luxury affiliation comes with a high price tag: between $1,000 and $1,500 for a stainless steel case and leather band. 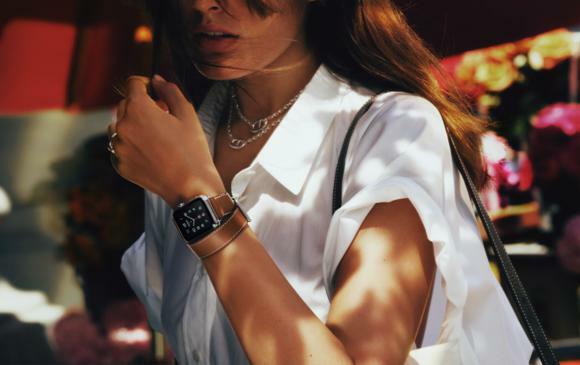 But now Apple is selling the Hermès bands a la carte, so you can spend a little less on a luxe look. The single tour, double tour, and cuff bands will be sold separately from the watch itself beginning April 19. While you won’t get the custom Hermés watch face if you buy the bands separately (or the extra year of warranty protection), you will spend less and have more color options than buying the watch and band as a set. There are also new colors to choose from. The new bands come in fauve, noir (black), feu (red), blanc (white), bleu paon (green) and blue saphir (a beautiful midnight blue). The single tour is designed for both 38mm and 42mm watches, while the double tour is for 38mm and the cuff is for 42mm models. Not all colors are available for all styles. 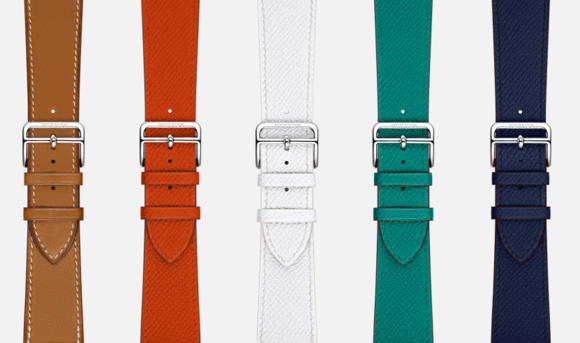 The new Hermès single tour bands come in a variety of new colors. The Hermès straps are, of course, far more expensive than Apple’s high-end leather options. According to watch news site A Blog to Watch, the single tour band is $340, the double tour is $490, and the cuff is $690. Apple's leather watch bands range from $149 to $249. There are a few stylish Hermès-like bands on the market that feel high-end without costing a fortune—we tested a few of them here. And while they obviously can’t match the hand-crafted look and feel of an Hermès cuff, they’re a fraction of the price. But if you’ve got a few hundred bucks to spare to make your Apple Watch look and feel extra fancy, the Hermès bands are the classiest options around.